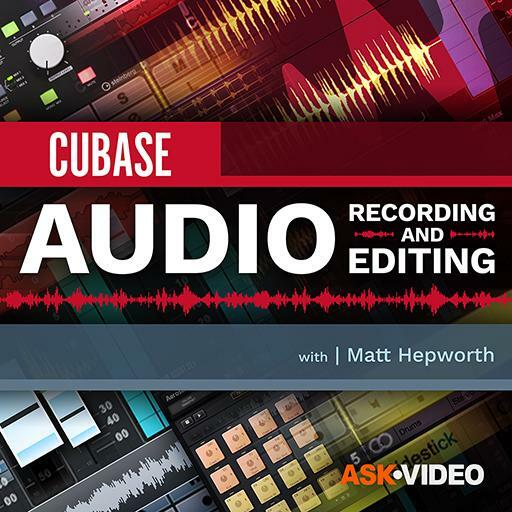 Cubase 10 103 - Audio Recording and Editing. What is induced into a recording when the ‘clip’ indicator lights up? What is the other option for the Play tool? How many audio inputs are required to record multiple tracks simultaneously? What is the advantage of packing tracks into Folder tracks? What does the term ‘float’ stand for in 32-bit float? What provision must be done prior to opening the Audio Mixdown window? Which button do you press to activate Re-Record? What is revealed when you click the ‘e’ button on the Comp module? Which effect(s) is found in the Gate module? Which Pool folder is usually empty in active music projects? Which button do you press to reveal the Comping Lanes? Which Handle(s) do audio events have the MIDI events do not? What is the color of a knob on an Effect track? Which mouse control is used to alter the Q-factor (bandwidth) of an EQ node? Where are the Track Versions controls located? What is the term for the delay induced by software monitoring? Which recording mode(s) works with Cycle Recording? What does dragging the green line change? Which key command is used to reveal the Audio Connections window? What do the pin stripes on an audio event indicate? Where on an Event do you find the Comp Handle?